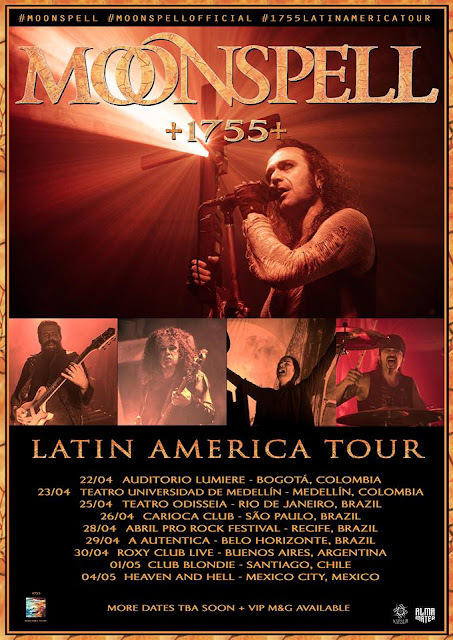 MOONSPELL ANNOUNCE LATIN AMERICA TOUR FOR APRIL 2018! Currently On Tour In Europe With Cradle Of Filth! "We consider this a fresh start after last year’s events and want all our wolves and witches in South America to know we will be coming back more often for you and will present you with one of the best shows that MOONSPELL ever had on the road, as witnessed by thousands already in Europe.